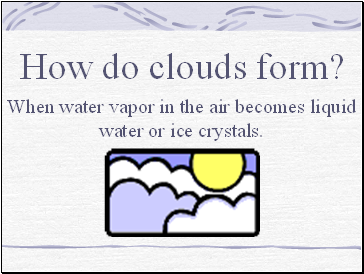 When water vapor in the air becomes liquid water or ice crystals. 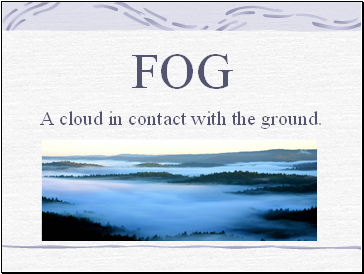 A cloud in contact with the ground. 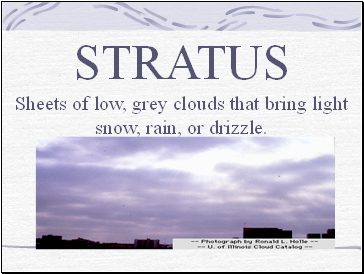 Sheets of low, grey clouds that bring light snow, rain, or drizzle. Thicker layer than stratus clouds that completely block out the sun. 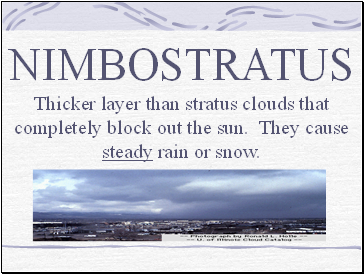 They cause steady rain or snow. 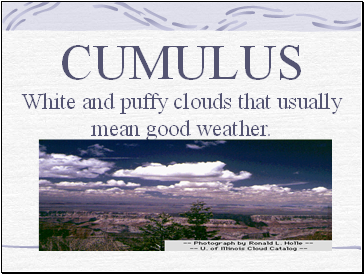 White and puffy clouds that usually mean good weather. Dark, towering clouds that are also called “thunderheads”. 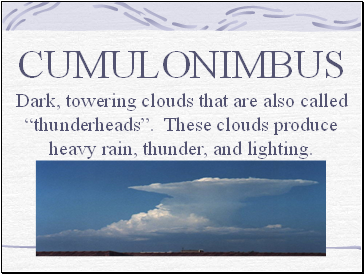 These clouds produce heavy rain, thunder, and lighting. 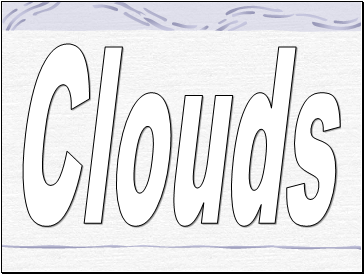 Thin, featherlike clouds that are made of ice crystals high in the atmosphere. 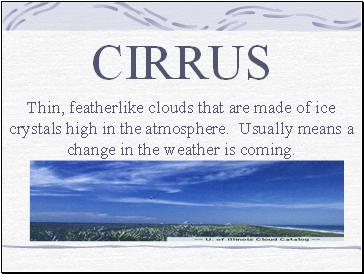 Usually means a change in the weather is coming.